00:00 | Lima, Sep. 24. 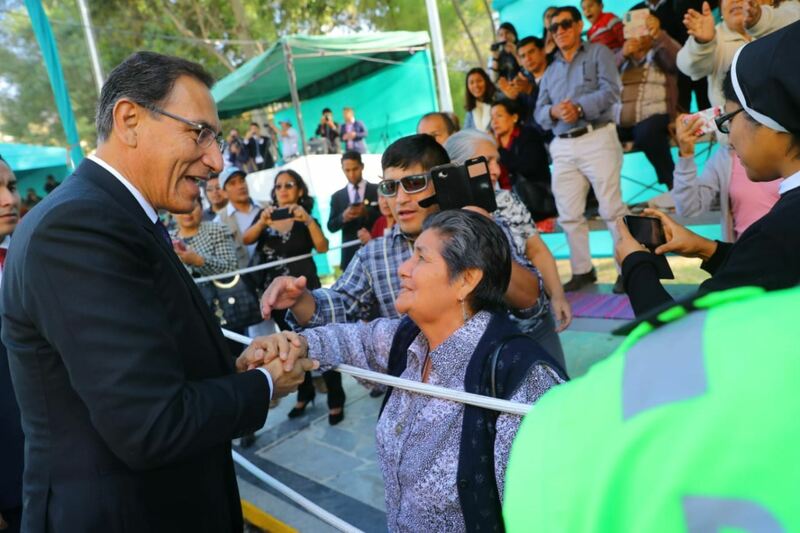 Peruvian President Martin Vizcarra's approval rating grew to 52% in September 2018, the latest GfK poll revealed. This figure implies an increase of 9 percentage points from August (43%). The disapproval rating dropped from 46% to 36%. The regions showing the highest approval ratings are located in the east (69%) and Lima (53%). When asked if they believe whether or not President Vizcarra has a clear development plan for the Inca country, 45% of respondents say "yes." As for the referendum, 56% affirm they agree to submit for public consultation the bill to reform the National Council of the Magistracy (CNM), while 27% disagree. Likewise, 69% agree to hold a referendum to determine whether Peruvians want lawmakers to be re-elected, whereas 23% of those asked express disagreement. In addition, 52% of those surveyed say they agree to put Congress' bicameral system proposal to a referendum, while 30% disagree. Regarding the bill on political parties' private financing, 59% of respondents think it should be subject to public consultation. Furthermore, 66% say they would support President Vizcarra's potential decision to close Congress if the referendum proposals' approval is delayed, while 27% express disagreement. Sample size: 1,184 respondents in 17 regions, 19 provinces, and 80 districts. Margin of error: +/- 2.7%.